Just when you though the party season was over….well, there’s another one starting up in a couple of months. Easter BBQs and parties are recognised gatherings of families, friends and colleagues across the Australia. It’s a holiday period we all look forward to – the sun’s kick is less, temperatures drop to acceptable levels and eating hot food straight from the grill is wonderful. Whether you drink beer, wine, soft drink or water, we all like a cool drink in the shade and technology has taught us that wrapping your vessel in a foam insulator, keeps your drink cooler for longer – fact. And the longer you stand in the one spot with a drink in your hand, the longer you expose the message printed on it’s side. Drink manufacturers print labels for the very reason that, as social animals we gather together and share, and learn from each other. If the chief is drinking YYYY Beer, it’s got to be a good thing and we should all do likewise. 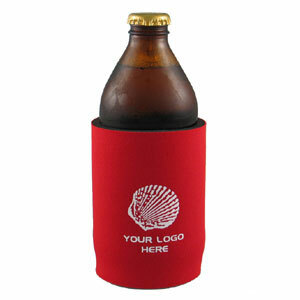 Now, you’re probably not in the business of making beverages but you can leverage off them by printing promotional, branded stubby coolers and distributing them to your people before the next party season – who knows, you could be the topic of discussion without even being present (at least they’re taking about you…). This entry was posted in Fun and Leisure, Giveaways, Promotional Products and tagged branding, giveaways, outdoors, sport by admin. Bookmark the permalink.